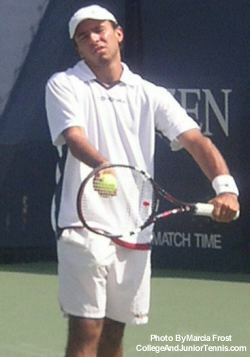 At the Carlos Gabriel de Figuereido Cup in Ecuador, Leonard Kirche of Brazil and Julia Cohen of the United States picked up their first ITF Junior Circuit titles. Leonardo survived a tough 7-6(5),6-7(1),6-2 match against Slovenia's Rok Jarc for the boys singles trophy. Thirteen year old Julia went up against fellow American Krysty Marcio for the girls singles and prevailed, 6-2,6-4. Krysty had just won her first ITF event the week before at the Pony Malta Cup in Columbia. Plans are set for the Maureen Connolly Brinker Cup to be held at the Cloister Resort in Sea Island Georgia from March 6-8, 2003. The top four girls in 14s and the top two girls in 12s from the United States and Australia will be competing. The United States team consists of Logan Hansen, Alexa Glatch, Lauren Albanese, Kim Couts, Mallory Burdette and Linda Musref. This marks the 17th annual competition and the U.S. leads 13 wins to Australia's 3. The MCB Foundation has also set plans for the Maureen Connolly Challenge Trophy featuring the top five 19 and under girls in the United States and Great Britain. This year's event will be held at the International Tennis Hall of Fame in Newport, Rhode Island from October 2-4. The latest additions to the Advisory Coaching Team of USA Tennis High Performance are two-time US Open winner Tracy Austin and USTA Board Director of Large (and Fed Cup Coach) Zina Garrison. Other members of the Advisory Team are Patrick McEnroe, Jim Courier, Billie Jean King and Todd Martin. Mathieu Montcourt lived up to his top-seeding and took the boys singles title from Chris Guccione, 7-6(5),6-2. Nadja Pavic was the girls singles winner after her final match against Eden Marama, 6-2,6-2. The doubles titles went to GOel Monfils/Josselin Ouanna and Andis Juska/Mcihael Zverev. Phillip Simmonds and Scott Oudsema were the first U.S. team in the history of the tournament to win the boys doubles title at the Australian Open Junior Championships. The pair's defeat over Florin Mergea and Horia Tecau was the second in as many weeks. 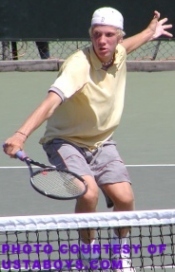 They had also won at the Australian Hardcourts. Michaela Krajicek of the Netherlands made it three consecutive titles when she captured the Coffee Bowl in Costa Rica. In previous weeks she had won the 16th Yucatan Cup and the 25th International Casablanca Tennis Junior Cup. 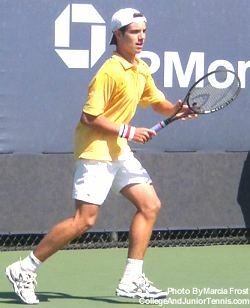 The ITF named its Junior World Champions for 2002. As expected, Richard Gasquet and Barbora Strycova were the top singles players. At sixteen, Richard is the youngest to ever receive this honor. Kim's little sisther Elke Clijsters was named Girls Doubles Champion and Florin Mergea and Horia Tecau shared the Boys Doubles honor.